YOP Week of the 26th of April – finishes! This week has also been very productive. Firstly, I have finished the Comfort Blanket. 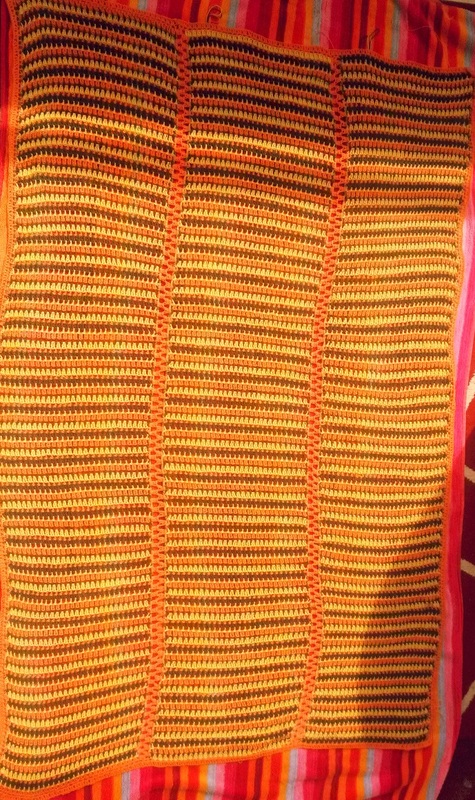 It’s now blocking before I send it off to a friend of mine. I hope to take a few more pictures after it’s dry. 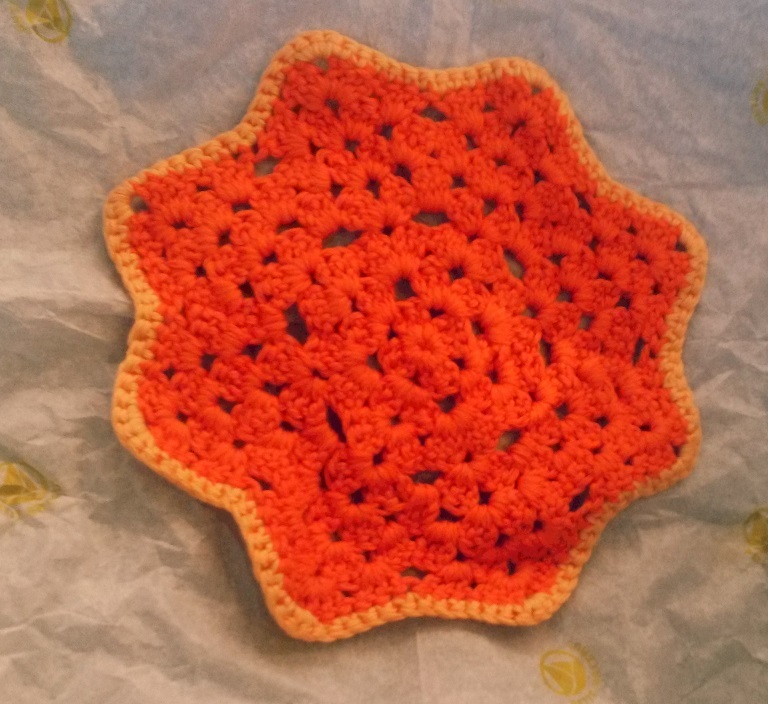 I also made a doily to go with a set of coasters as a present. Finally, I have made last changes and published the pattern for Marishka scarf – it’s free, so come over and grab a copy. 15. 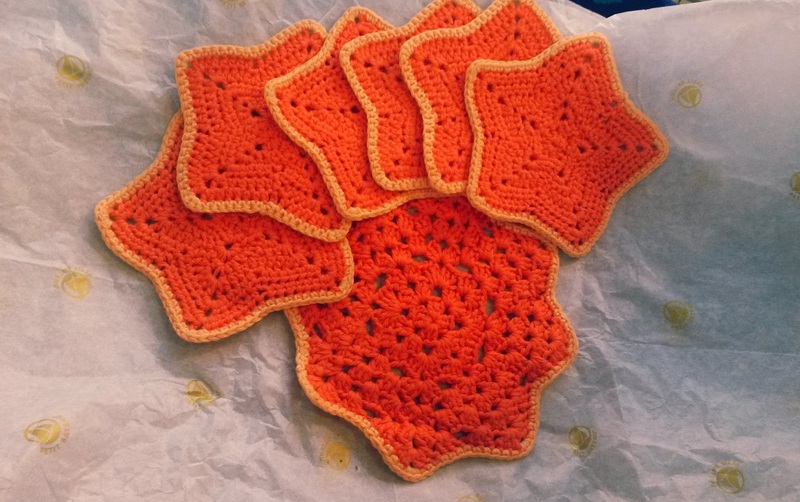 Present for a baby that’s on it’s way (not mine!!) – DONE – the comfort blanket from point 10. You have been busy creating lots of lovely items. The blanket is beautiful. I seem to have so little time for crafting, it actually came as surprise for me to finish so many items in a course of two weeks. that scarf is amazing !! Wow to the comfort blanket! The colours in your scarf are gorgeous. Thank you. The yarn for scarf was my first attempt at dyeing – I used CoolAid. Lovely blanket, and those stars are adorable. 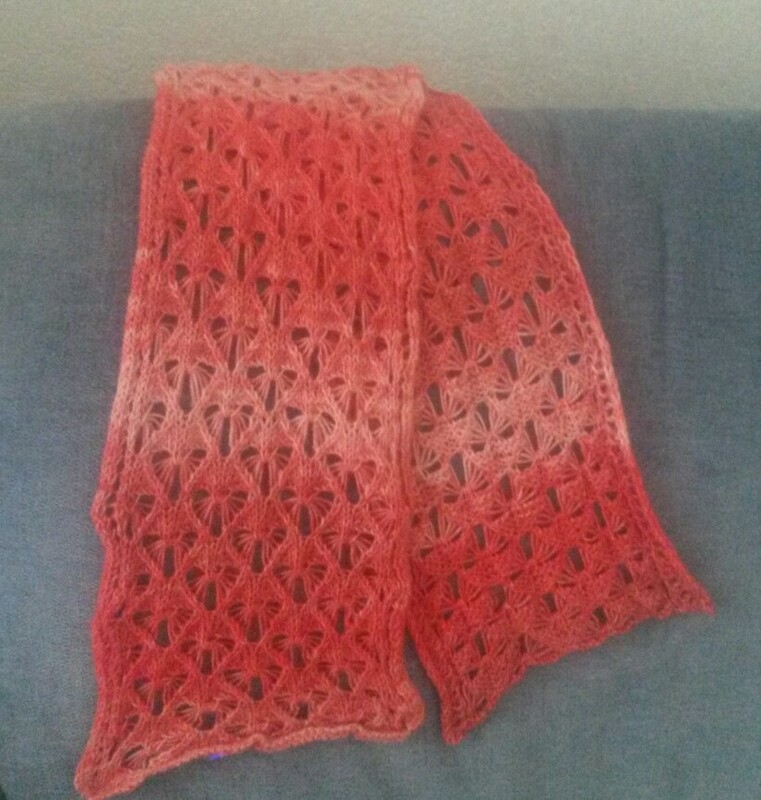 I love the scarf pattern!